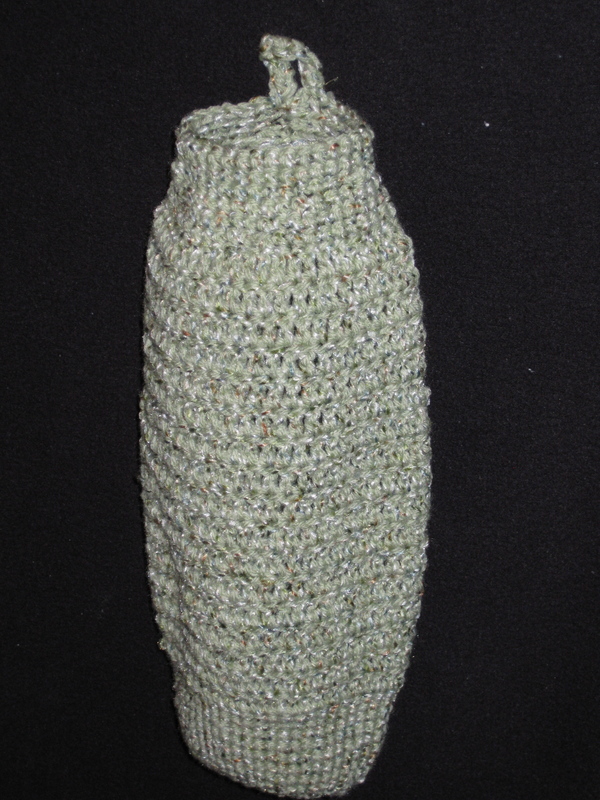 Ear Warmer – continuous all the way around (no button). Please let me know your color preferences. 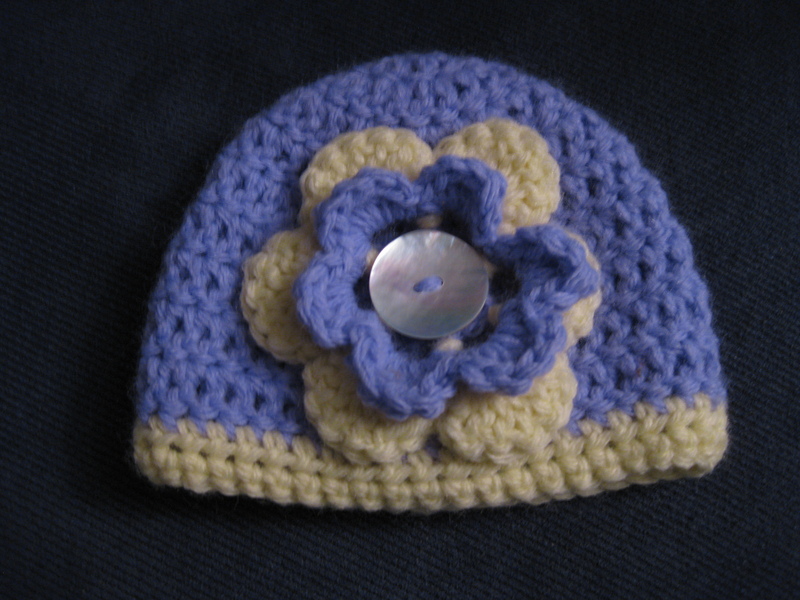 Ear Warmer – with two buttons for adjustable sizes. Please let me know your color preferences. 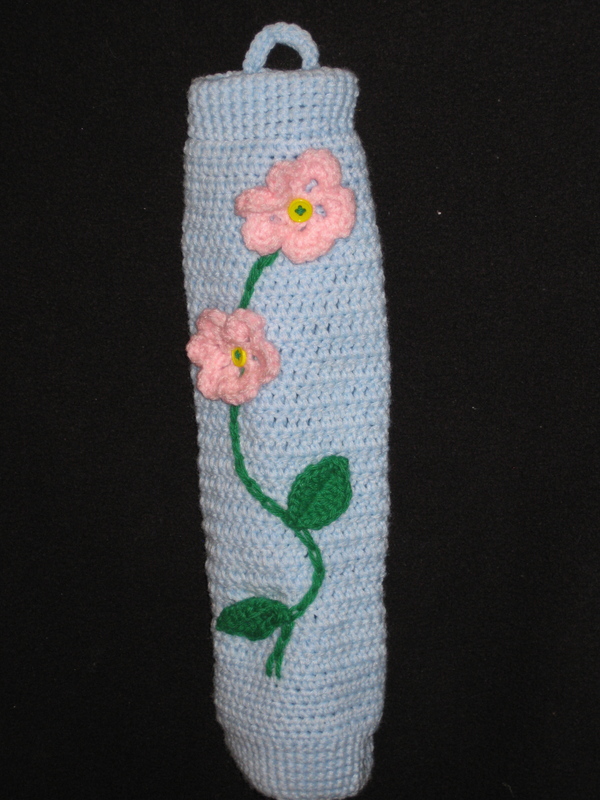 Ear Warmer – with a large flower and two buttons for adjustable sizes. Please let me know your color preferences. 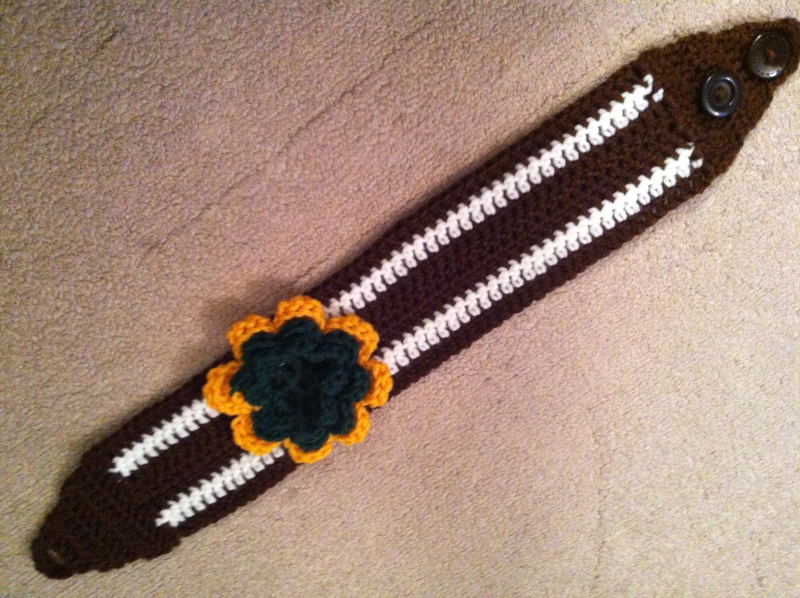 Ear Warmer – football ear warmer with a Packer flower and two buttons for adjustable sizes. Please let me know your color preferences. 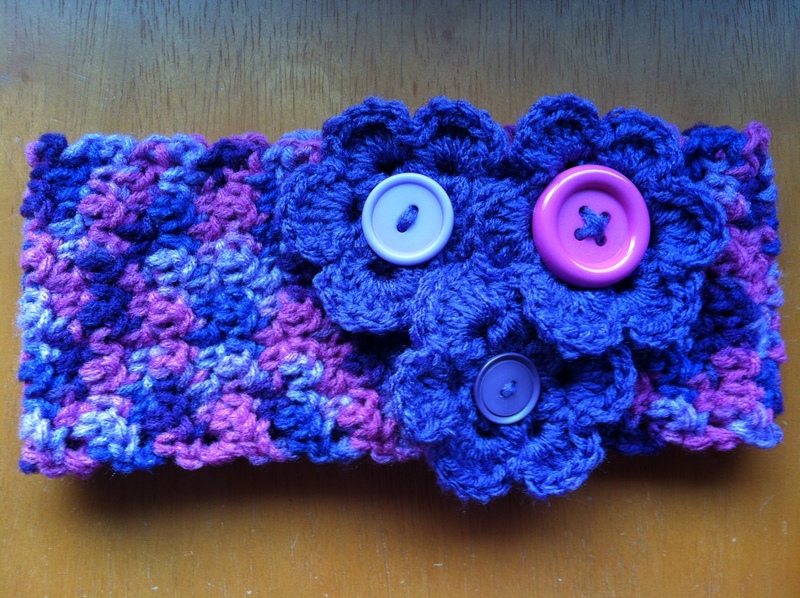 Ear Warmer – ear warmer with two buttons for adjustable sizes and a large flower. 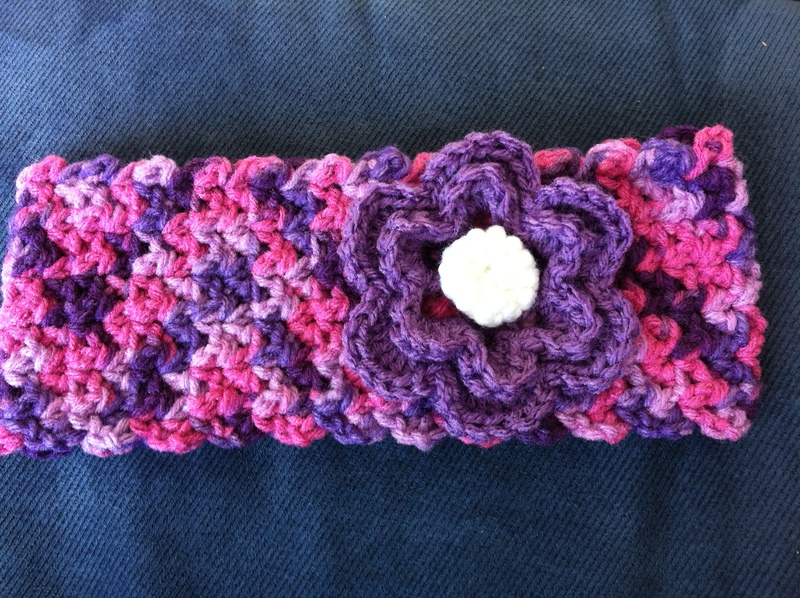 Please let me know your color preferences. 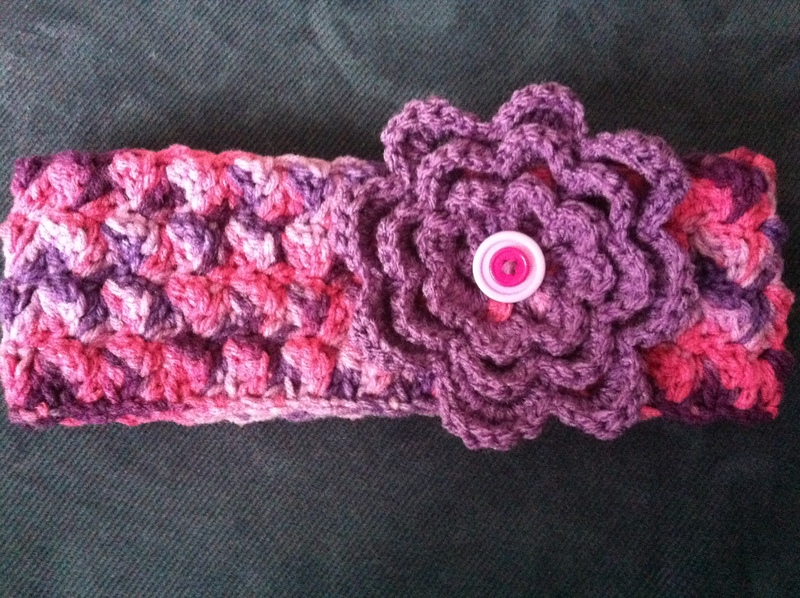 Ear Warmer – continuous ear warmer with 3 small flowers. 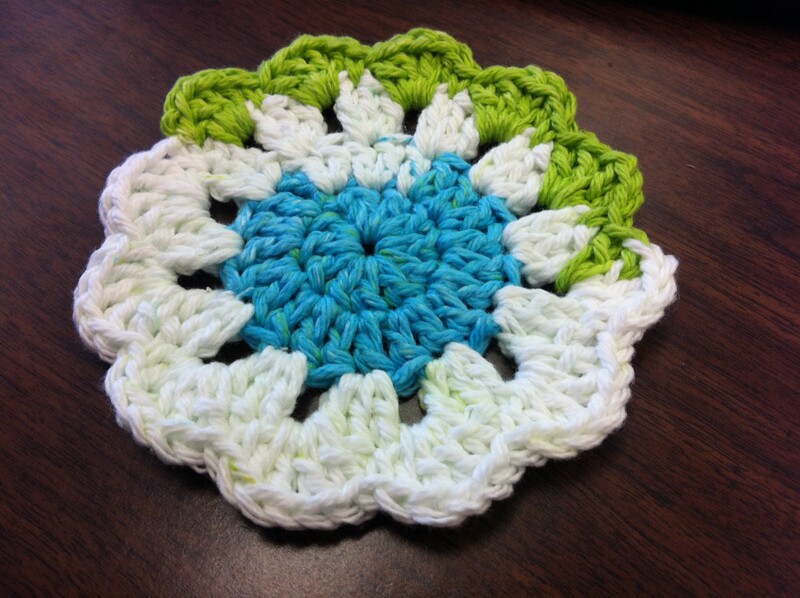 Please let me know your color preferences. 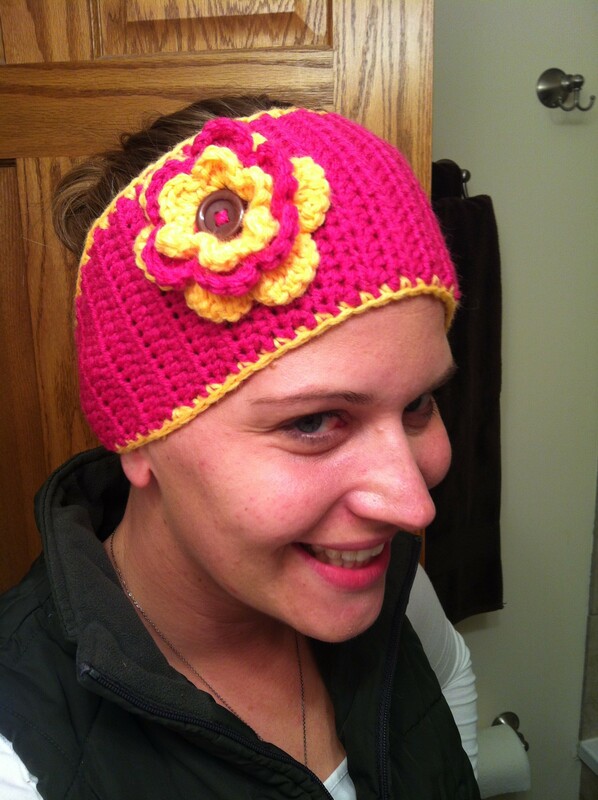 Ear Warmer – continuous ear warmer with a large flower. Please let me know your color preferences. 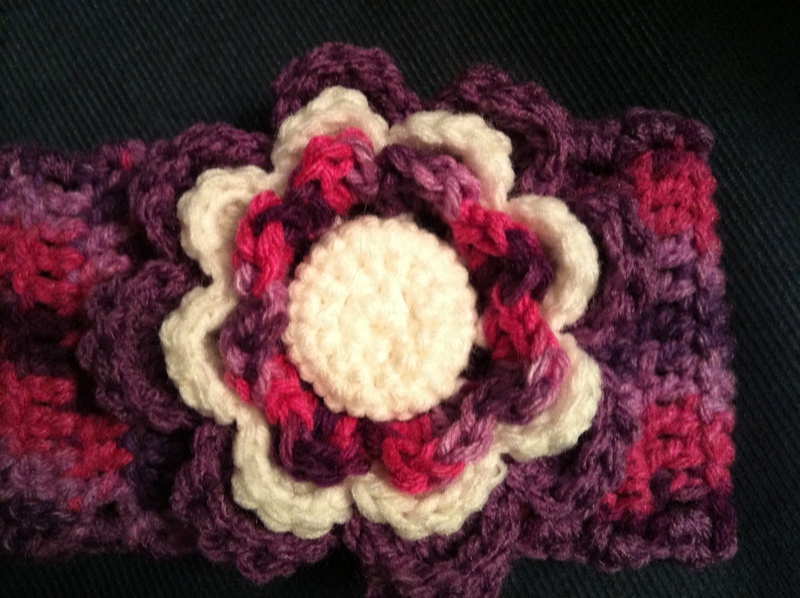 Ear Warmer – continuous ear warmer with a medium size flower. Please let me know your color preferences. 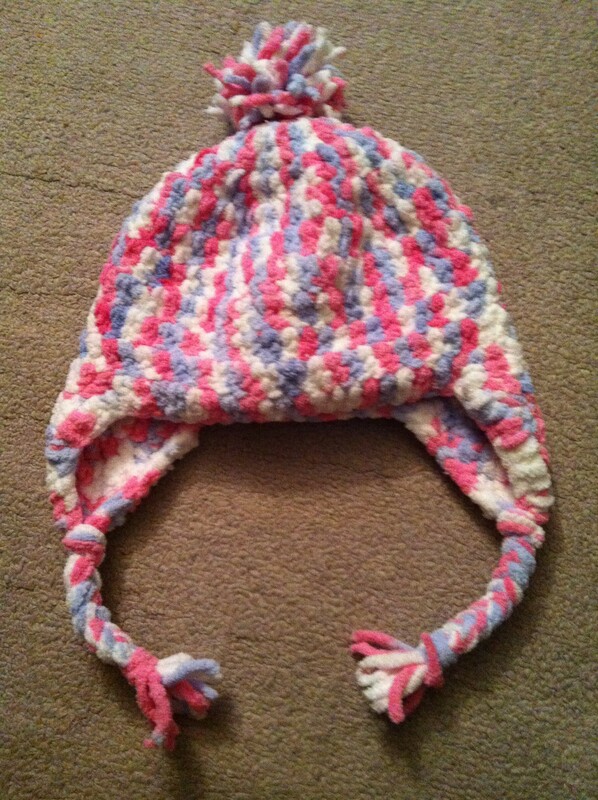 Hat – fuzzy hat with ear-flaps and a pompom on top. Please let me know your color preference. 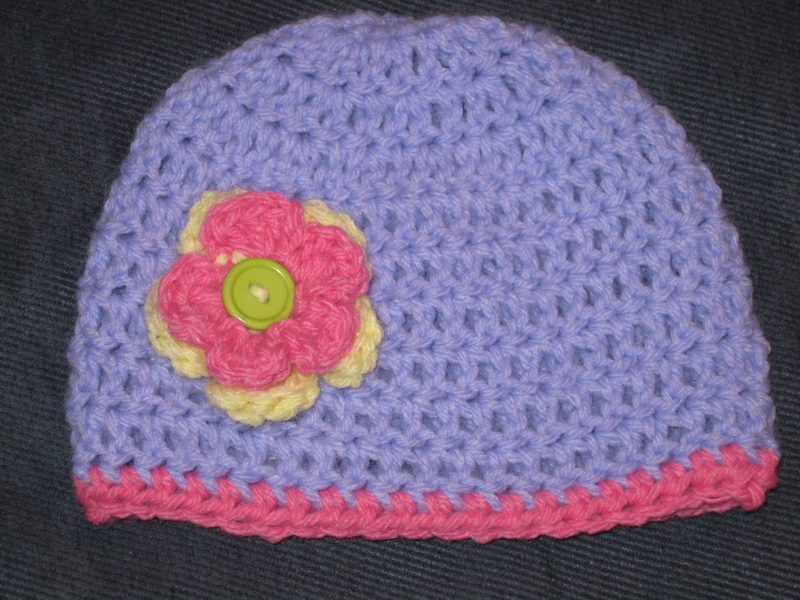 Hat – hat with flower and no ear-flaps. Please let me know your color preference. 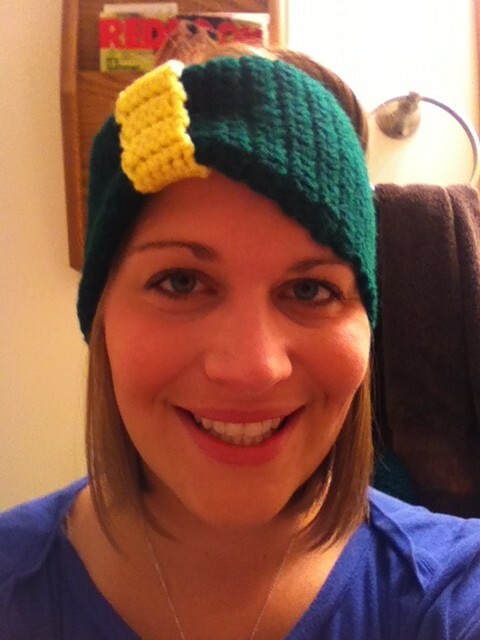 Hat – football hat with Packer flower, braided tassels and ear-flaps. 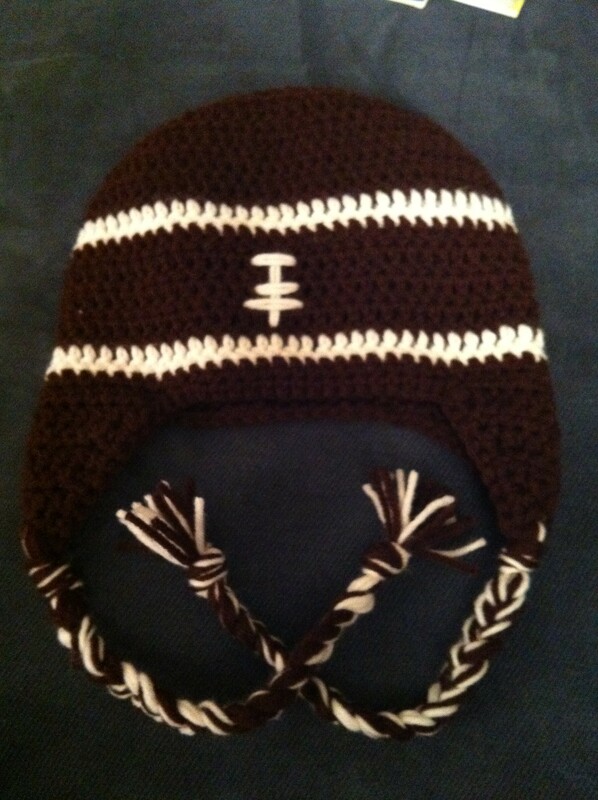 Hat – football hat with ear-flaps and braided tassels. 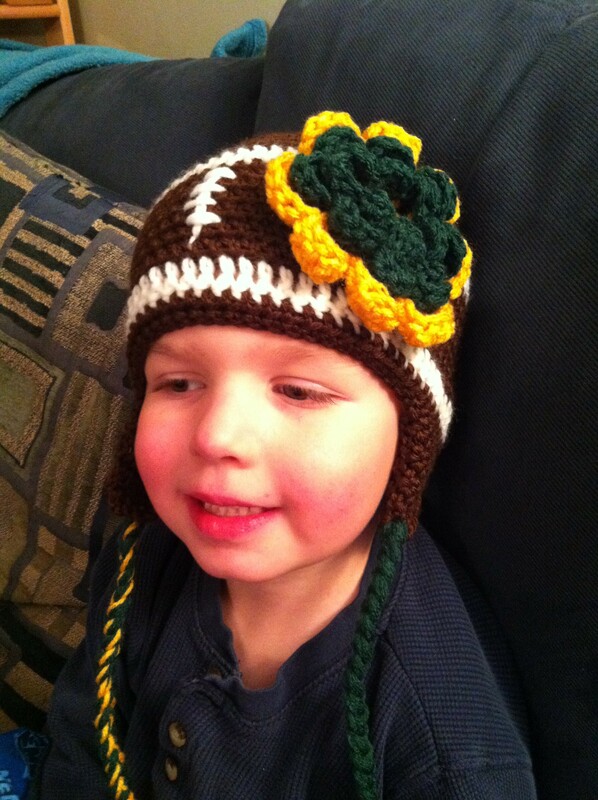 Hat – Eli modeling the football hat with ear-flaps and braided tassels. 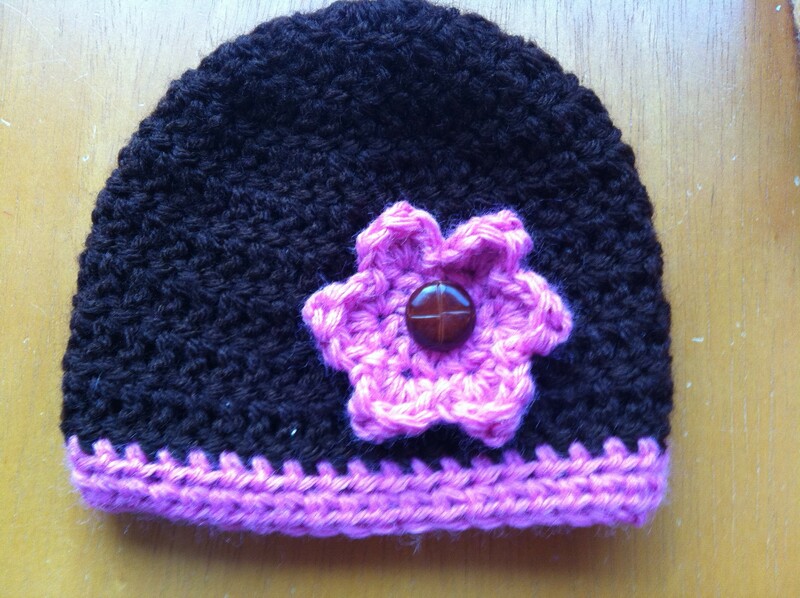 Hat – little girl hat with ear-flaps, braided tassels and small pink flower. Please let me know your color preference. 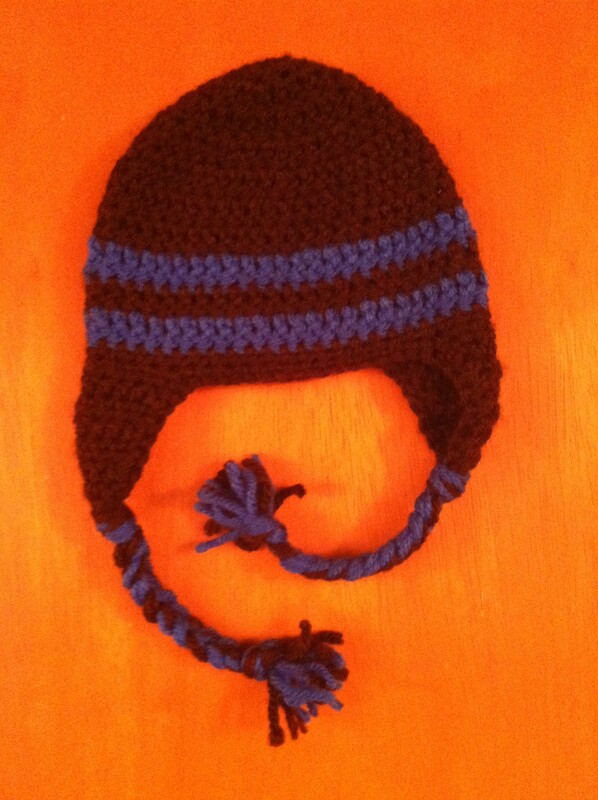 Hat – little boy hat with ear-flaps. Please let me know your color preference. 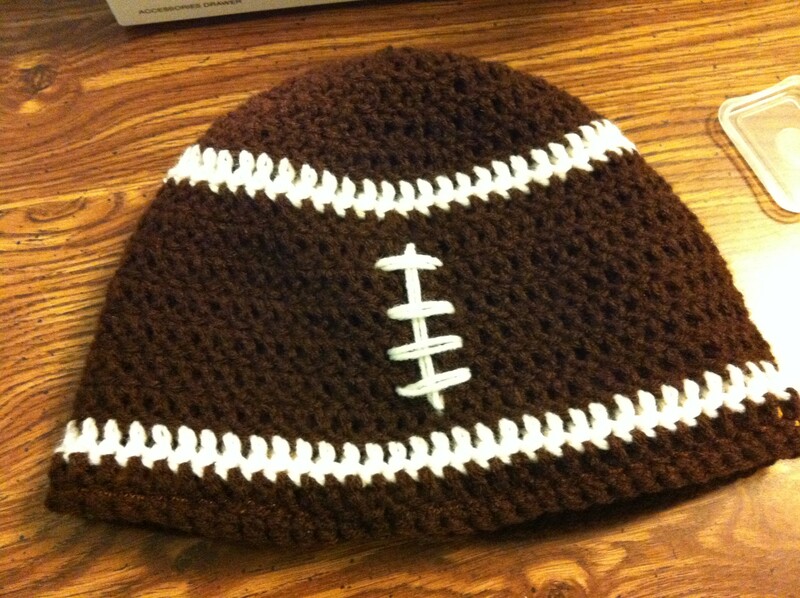 Hat – football hat without ear-flaps. 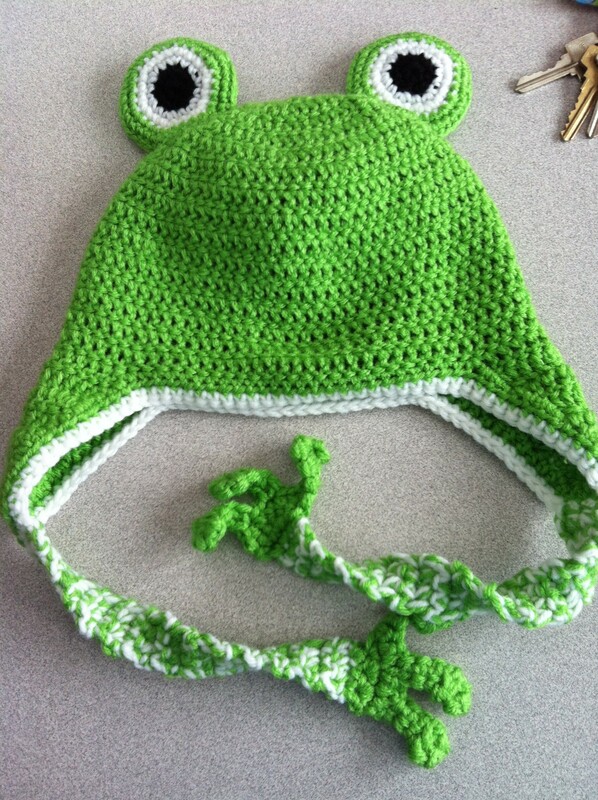 Hat – froggy hat with eyes and froggy feet. 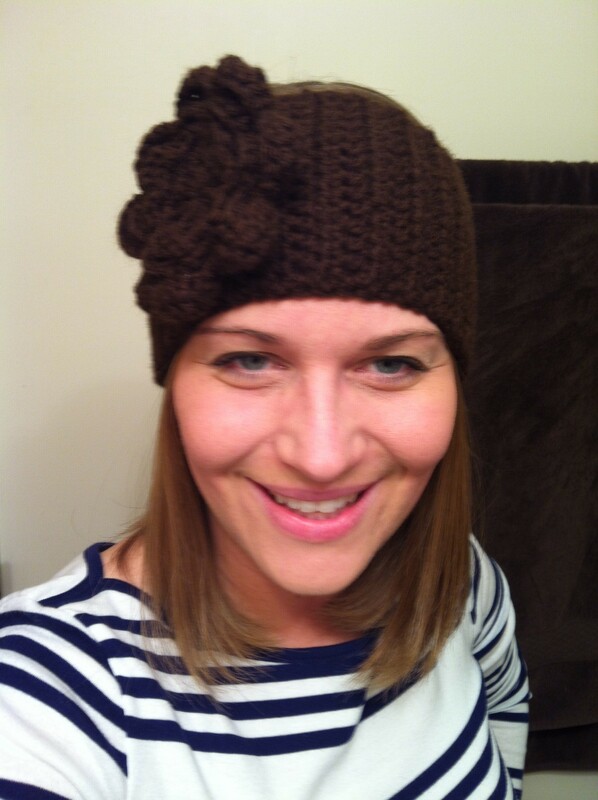 This hat can be made with braided tassels instead of froggy feet. 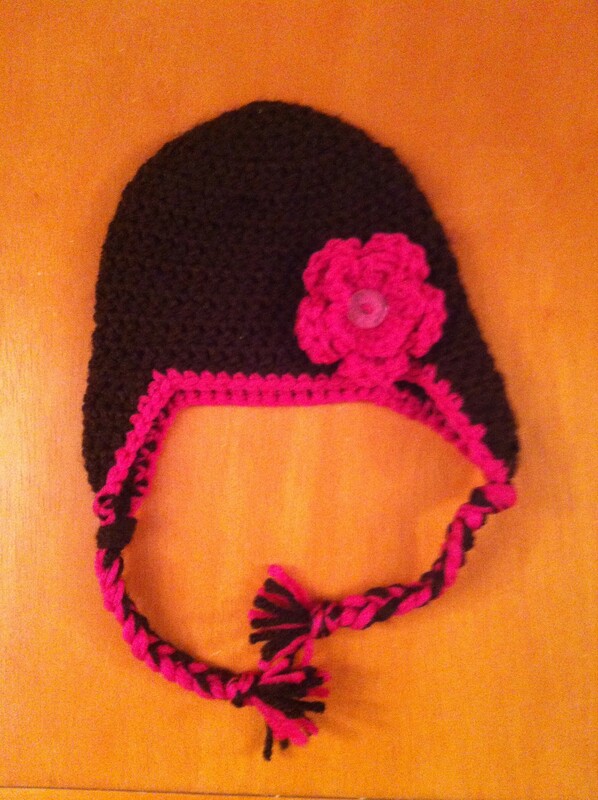 Eye lashes and a bow can be added to make it girlie. 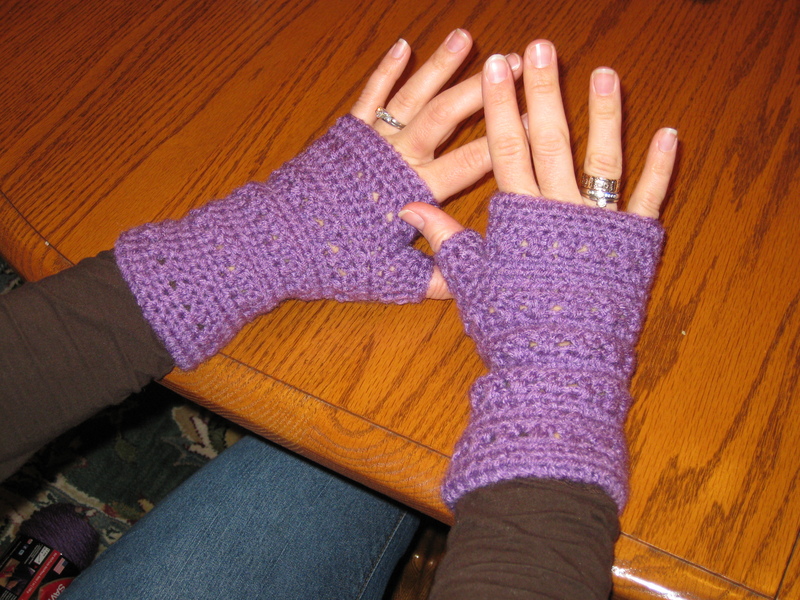 Wrist warmers: short wrist warmers – $10, elbow length warmers – $12. 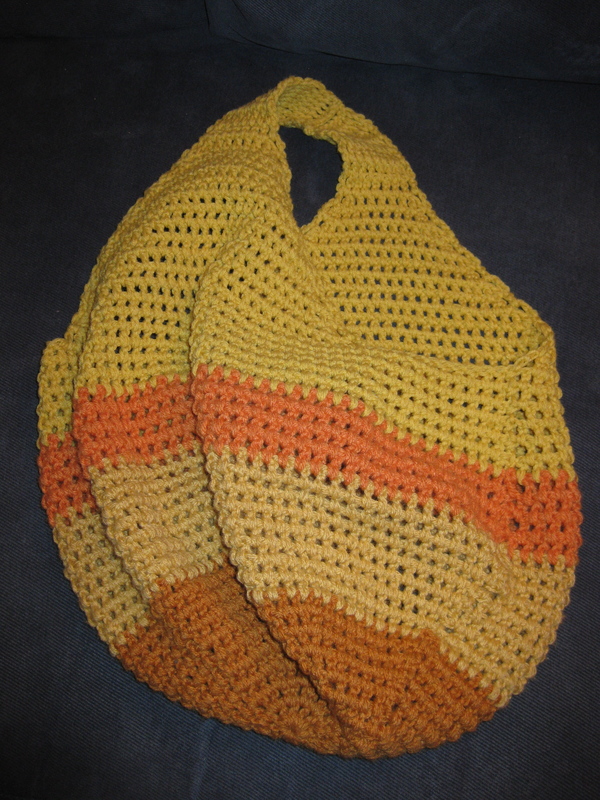 Please let me know your color preferences. 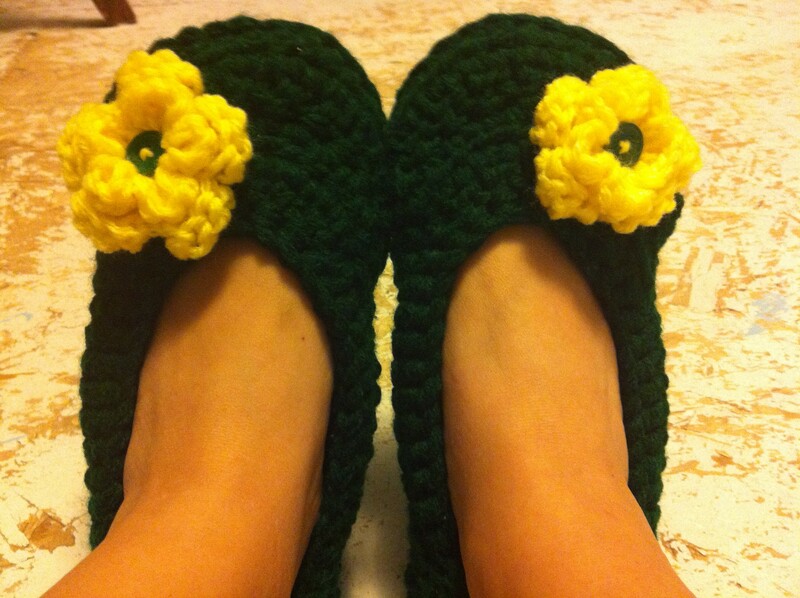 Mary Jane Slippers – $15 — with or without flowers. Just need to know your shoe size and color preference. 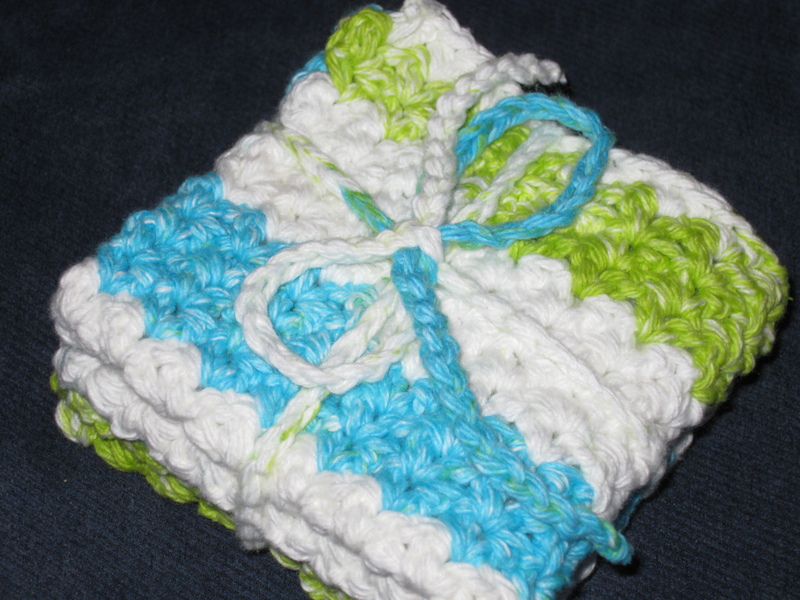 Kid Sized Washcloths – Set of 3 = $8 — please let me know color preferences, cotton yarn is variegated with a variety colors. 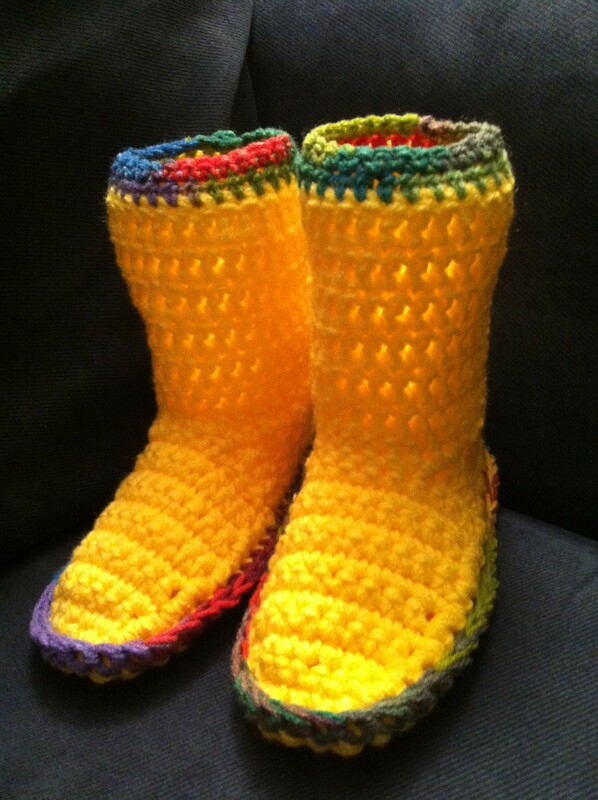 Slipper Boots – $20 — just need to know your shoe size and color preference. 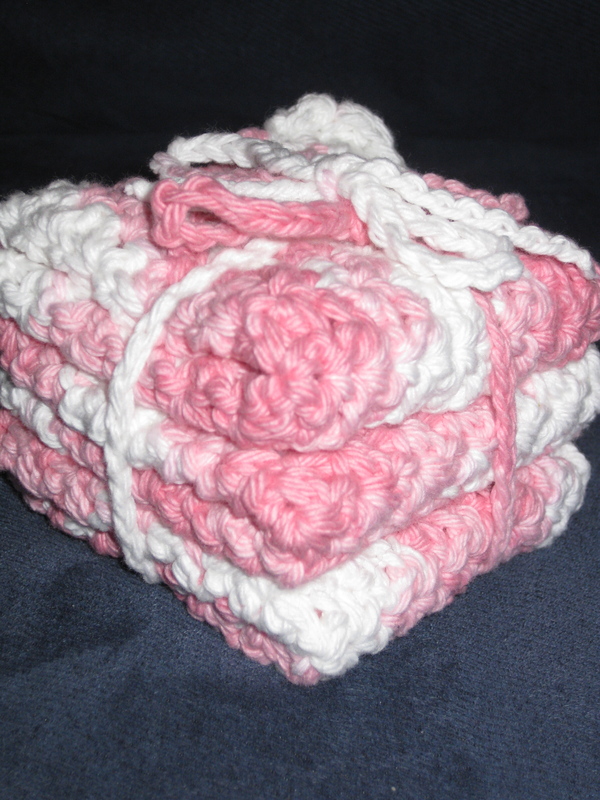 Adult Sized Washcloths – Set of 2 = $8 — please let me know your color preferences, cotton yarn is variegated with a variety of colors. 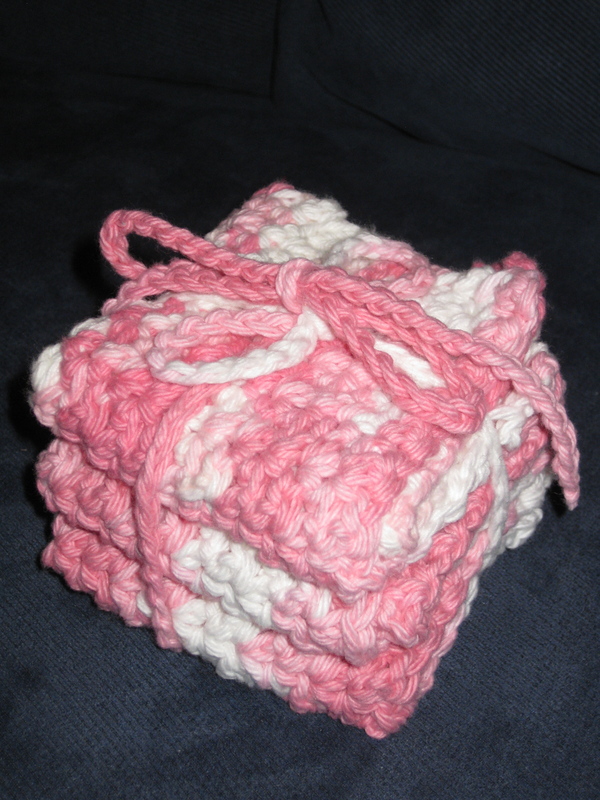 Coasters – Set of 4 = $10 — please let me know your color preferences, cotton yarn is variegated with a variety of colors. There is a $3 shipping charge for all items. Reminder – all proceeds with the exception of materials costs will go to Children’s Hospital to the Cardiovascular Critical Care Unit. 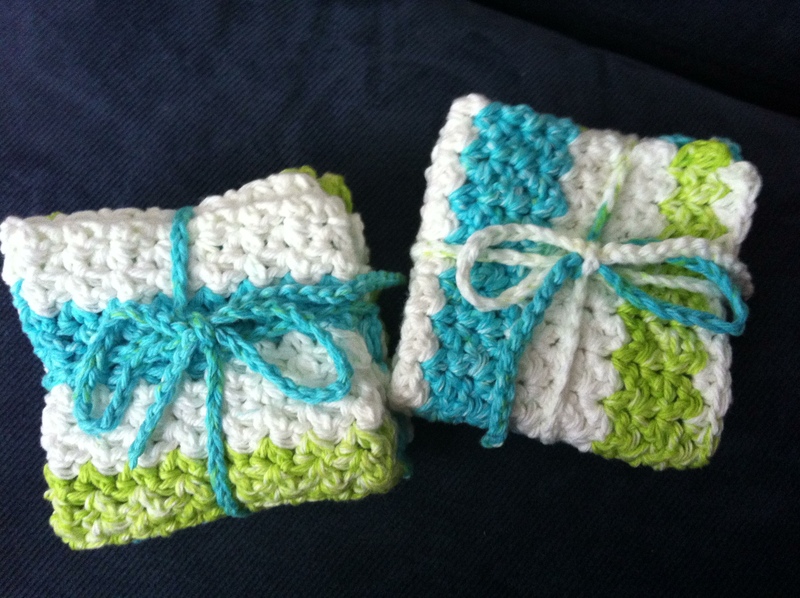 Thank you very much for your donation to Children’s Hospital. 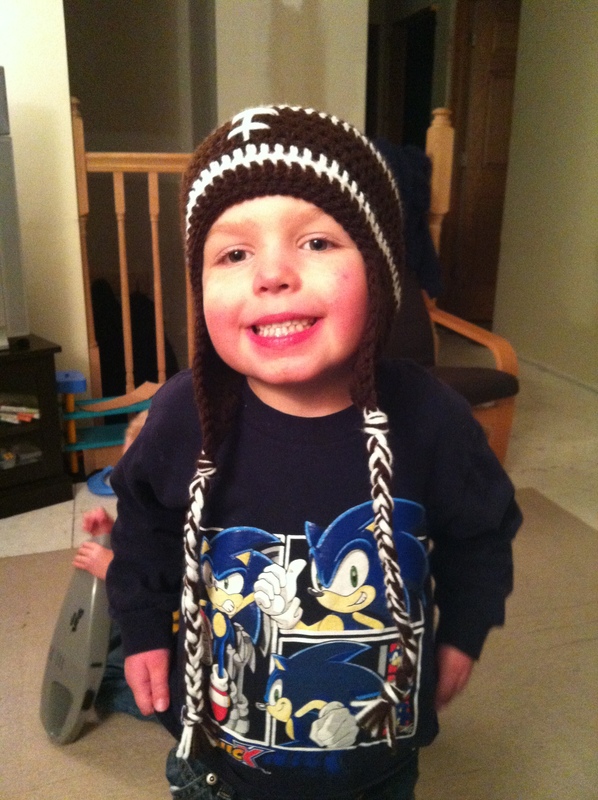 Your donation will make such a HUGE difference for the heart patients and their families. 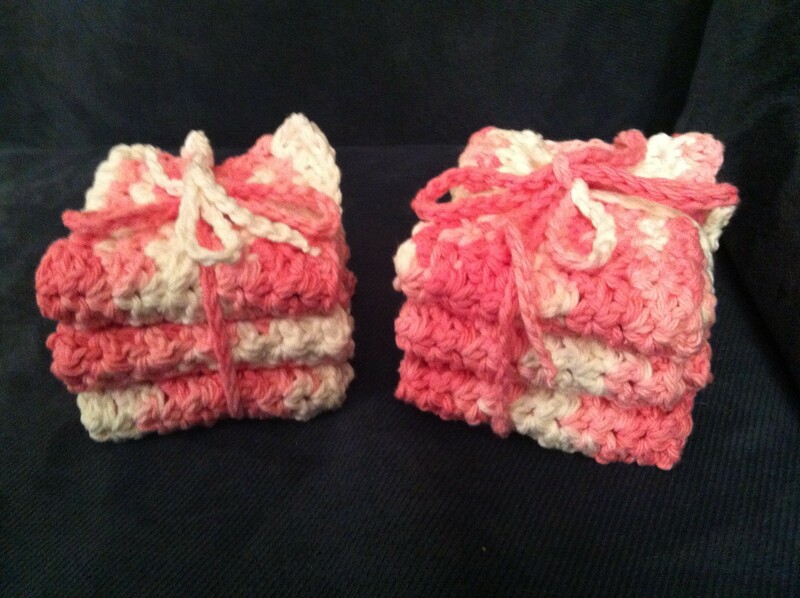 Our family is so thankful for your kindness and donation.